Pauline Runkle's work has been featured in books, magazines and newspaper articles. 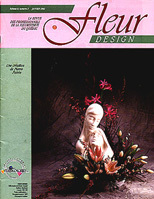 She is a published writer of articles on floral design. 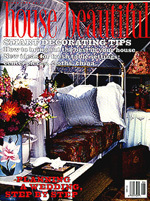 This book is available for purchase on the Products Page. Beautiful photographs of Pauline's garden at 3 Plum Hill are included side by side expressive personal quotations. Pauline's garden is among 93 member's gardens showcased on 256 captivating pages amongst 250 stunning photographs. 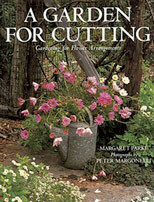 Margaret Parke’s beautifully illustrated book "A Garden for Cutting" is an excellent source for information on arranging from the garden. A display of Pauline Runkle’s beautiful antique roses is included as well as a photo of her perennial garden. 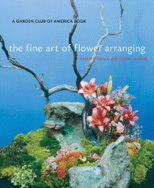 Within the book, two hundred photographs feature gardens and plants across the United States and a wide variety of flower arrangements both simple and elaborate. 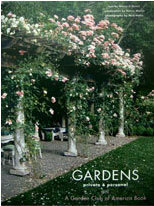 Pauline and Margaret worked together selecting the sites for the Boston gardens in this comprehensive book. 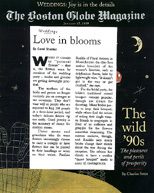 "Flower Power: Floral designer Pauline Runkle says flowers are a pathway to creative expression"
"A Successful Flower Arrangement Starts With the Right Conditions"
"Weddings: Joy is in the Details"
"This Arranger Has Discovered a Great Source for Cut Flowers: Her Own Garden"
"Take Your Pick: Wedding bouquets, like brides themselves, can be dramatic"
"Centerpiece of Attention: Floral designer Pauline Runkle shows how to create an eye-catching bouquet"
"Flowers Old Style – Arrangement and article by Pauline Runkle"
"Pauline Runkle, shows us her artistic realizations for museums, exhibition halls and hotels."